Jimmy the Greek is probably the thickest bull ever born. He was the high selling club calf in the country for 2006. 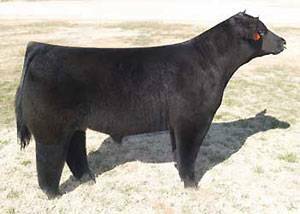 At Lautner Farms we pride ourselves on offering the best, if we are going to offer the best genetics available then we could not let this one get away.